Some things are just so convenient, it's hard to imagine how we ever got along without them. Baking paper, or parchment paper, is definitely one of those things. 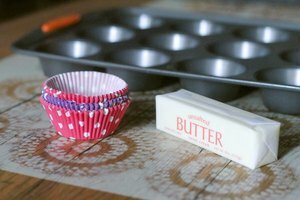 You can bake on it, use it as a food wrapper, and pastry chefs even turn it into tiny pastry bags for cake-writing and decorating. It's not perfect, though. It can get expensive if you bake a lot, and of course. it's another form of waste that you really could eliminate from your kitchen. Worst of all, it sometimes runs out just when you've got something ready to go into the oven. 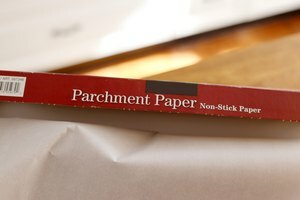 When you're looking for a parchment paper substitute, the answer's going to change depending on your priorities. Parchment does a lot of things well, but mostly it keeps your baked goods from sticking to the pan and – by keeping the batter and the pan apart – it makes cleanup easier. Also, avoiding parchment long-term because you hate creating waste is a whole lot different from needing a substitute "OMG right this minute!" because you've got something ready to go into the oven. If you're concerned about keeping your kitchen as green as possible, your best long-term solution is using permanent silicone mats to line your baking sheets. The original version is the French-made Silpat mat, which is sturdy enough for commercial baking but pretty pricey as a result. There are lots of cheaper versions, though, some inexpensive enough that you won't mind cutting them to fit a specific pan. Silicone mats aren't perfect, because they're best for flat-sheet pans and won't help much in things like cake pans. Some recipes do specify leaving the sides of the pan ungreased, though, so you can certainly cut an inexpensive silicone mat to fit the bottom. Silicone mats will cost you more up-front than paper, but you'll use them for years. If you're baking right now and need something to line your pan, aluminum foil is a good choice because you probably already have it in your kitchen. Spread it out to line a sheet pan, or fold and crimp it to fit cake pans or loaf pans. The non-stick kind is best – it's coated with silicone, like parchment paper – but if you don't have it, don't worry. Lots of cookie recipes call for an ungreased pan, so they don't spread too much, and foil works perfectly for that. If you do need to make it non-stick, you can spray it with pan spray or fall back on old-fashioned grease and flour, whichever the recipe calls for. If you're out of other options, you can always do what your grandmother did and grease the pans. If they're already non-stick, or if your recipe isn't one that glues itself to the pan, pan spray is an easy option that adds minimal fat. You can dust the pan with flour, as well, for extra non-stick power. For really stubborn recipes, you might still need to fall back on a solid fat for the best release. Butter and shortening are traditional choices, but coconut oil works, too. You can even whip up a blend of equal parts oil, grease and flour in your mixer and brush that onto your pans with a pastry brush. 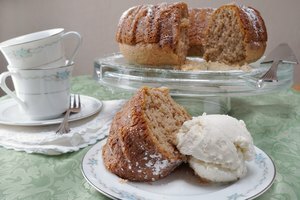 That's actually the best option for things like intricate Bundt pans, where there's a real risk of your cake sticking and where parchment was never even an option. 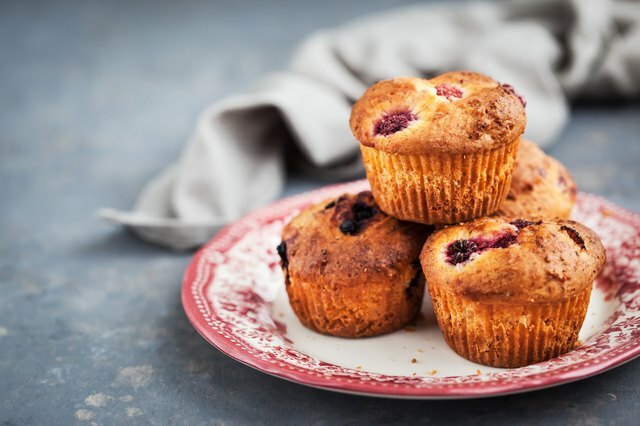 Bob's Red Mill: What Can I Use Instead of Parchment Paper?